Fiction writer, philosopher, and computer programmer. 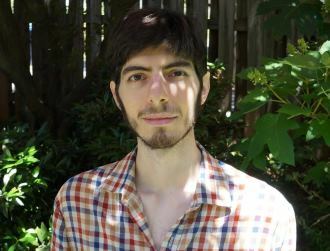 Jonathan Basile’s programming work involves breaking different forms of experience into their iterable elements in order to create universal archives of the realms of reality. Inspired by Jorge Luis Borges’ “The Library of Babel,” he created an online universal library (https://libraryofbabel.info) that contains vastly more pages of text than the universe has atoms. He applied the same principle to visual experience to create the Babel Image Archives, a collection of nearly 10^1000000 images. His fiction writing similarly focuses on the subversion of the rational intentions of the characters involved,y shifting to the margins of society or reality. His writing has been published by The Paris Review Daily. He is currently at work on a collection of short stories entitled Zoographia and a forthcoming book about the universal library, to be published by Punctum Books.